Beginner's Guide to Solid State Hard Drives - Should You Buy One? One of the latest products to hit the computing world are Solid State Hard Drives (commonly referred to as an 'SSD'). The actual technology for SSDs has been around for a long time but it's only recently been available to the mainstream in the past few years. In this article I will outline to you what a solid state disk drive is, what the benefits are, and whether it's worth your money. So what exactly is a solid state drive, and how does it work? Firstly, you must understand what "solid state" means. It is the term used to refer to electronic circuitry that is built solely from semiconductors. In the past, the term solid state was used to describe electronic devices that used semiconductors as opposed to vacuum tubes in its construction. But these days, in terms of a solid state hard disk, the term "solid state" means that the data stored on the SS hard drive is through semiconductors, instead of being stored through magnetic media such as a normal hard drive. You may be thinking to yourself that this type of technology has been around for years with storage devices such as USB flash drives, and in some regard you are right. USB flash drives and solid state hard drives are the same in that they both store memory the same way. But the difference between them is the form factor, and more importantly the fact that solid state drives live inside of your computer and can obviously store a huge amount more data than a flash drive. As you can imagine, a solid state hard disk has some advantages over a typical magnetic hard disk. The main reason for these advantages is the fact that solid state drives don't have any moving parts inside of them. The first main advantage is that less power will be used. Since there are no moving parts inside the solid state drive, it won't need anywhere near as much power to run. This is another big advantage thanks to having no moving parts. 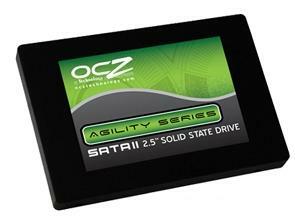 In a solid state drive you will experience faster data access than with a magnetic hard drive. In a typical magnetic hard drive there are more chances the parts may be damaged due to the way it is built with platters, and all the small and fragile parts. With an SSD though, there is less chance of damage and/or failure. Should You Buy An SSD? Like I said, solid state drives have been around for a while. So why don't all computers have them then? Well, simply because of cost. They cost more than a typical hard drive as you can imagine, so you won't get as much capacity for your money. But like all new technology the cost is slowly dropping and soon they will become a cost-effective option for most computer builders. So, if you have the money to spare at the moment and want the latest in storage technology for your computer or laptop then go for it. But if you're after the very best value for money storage or you need a huge amount of storage and don't want to pay an arm and a leg, stick with a standard hard drive for now until the prices of SSDs fall.